Cyber security is a necessary consideration in the digital era, but few people really understand how to protect themselves online, and the information and process can often be inaccessible. 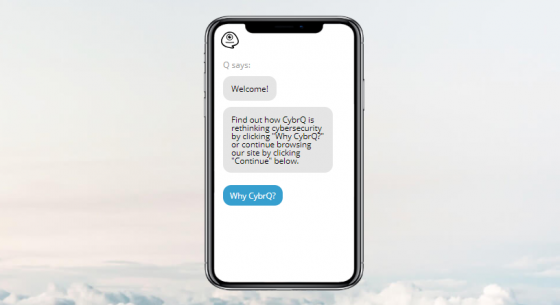 CybrQ is taking the effort out of security by offering the first proactive, human-focused cyber security solution to help you reduce your exposure online. CybrQ is pioneering the pre-click approach to cyber security by giving their users the tools, information, and instant feedback needed to protect themselves before they click a dangerous link — rather than after. 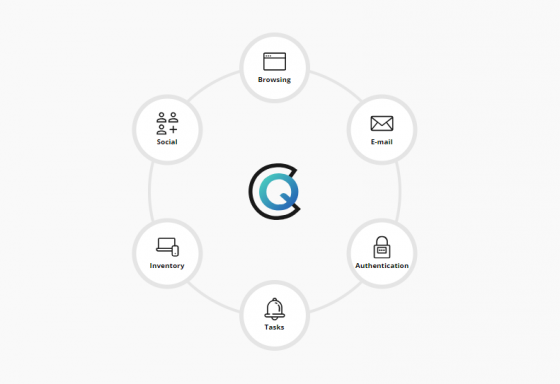 Users are helped along by Q, their personal cyber security assistant. Browsing Protection: Bundling your browser with CybrQ’s best-of-breed security solution prevents you from clicking on bad links or downloading infected files, whether from phishing sites, clickjacking scams, or other forms of malicious code. Inventory: These days, we all have a LOT of devices connected to the internet in our homes – each of which means one more access point for attackers to potentially gain access to your entire network. Keeping them all updated and locked down to the most secure settings can be a full time job in and of itself, so CybrQ takes it off your hands. They handle all the updates and bringing all of your devices and apps in line with industry-standard benchmarks and best practices. Authentication: CybrQ walks you through how to keep your life truly locked down against attackers, starting with strong and diverse passwords, in order to protect your digital identities. Services coming soon include protection during social media and email usage as well as a task manager for personalized suggestions on ways to improve your cyber security. Check out CybrQ’s website to learn more about taking control of your cyber security, or to download their free browser extension. Previous articlejava – Is possible to handle captcha in selenium, if the captcha is a static one?